Location: Main Index » Forum Index » Chevrolet Cars 1958-1970 » 1961-1964 Fullsize Chevys » Verne Frantz, or anyone, who is the guru on this style bell housing? For 1964-65, the cars with a BB (409-396) had a somewhat unique/rare bell housing for the larger 168 teeth flywheel (below). 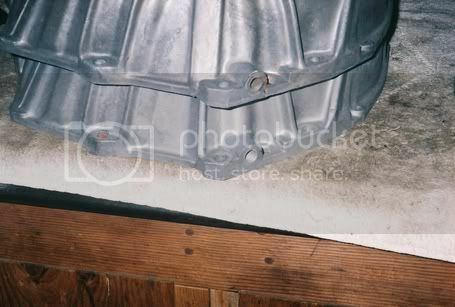 This style housing was used on 64-65 full size cars and on 65 Z16 Chevelles (first year for SS396 Chevelle). Apparently there were TWO different casting numbers: 3843942 and 3866983 for this style housing. SOOOOOOOOOOOOOOO, who is the guru on these casting numbers, which or what car got what, and what year? AND, what, if any, differences are there between the two casting numbers? Verne, is this stuff going to be in your book? WHOOPS, sorry for the big picture. That 942 is correct for the '64 409 (and I believe the Z-16). 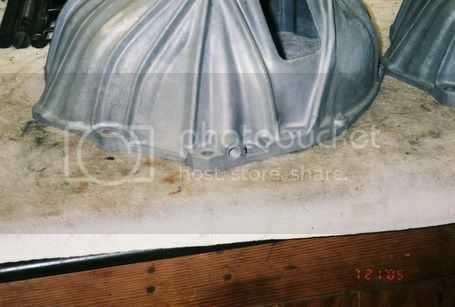 It's the ONLY 360deg bellhousing that was sand cast, rather than die cast. Check a 983 and I think you'll find it is die cast. Of course that info would be in the book. Edit: It appears that the 983 bell is also sand cast. One would have to look at both of them side by side to see what differences there are. It is an absolute fact though that the 942 is the correct '64 409 bell. Edited by Verne_Frantz on 04-10-19 10:32 AM. Reason for edit: No reason given. A CT member has been inquiring of me about what parts needs to be on a car that he is building. He's putting together (resurrected from a field!!!) a 65 Impala, 396, 4sp, FACTORY AIR COND car --------------- GOTTA BE A RARE CAR! I do not have, and have seen VERY few 64-65 style bell housings for the 168 teeth flywheel. They gotta be scarce and quite pricey! Unfortunately, my experience with big, alum housings is the 60-63 style and 66-later style housings, which is completely different from the 942-983 style housings. Wish I had one of each to make comparisons. 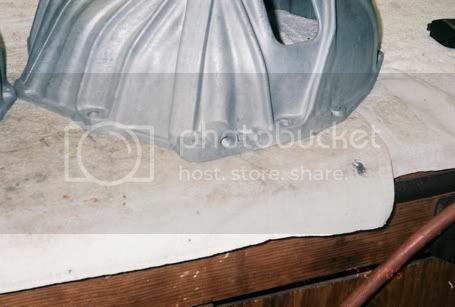 SOOOOOOOOOOOOOO, if anyone out there has BOTH a 942-983 housing, would you be kind enough to inspect them and see what, if any, differences there are? I'd like to know the answer to that too. There HAD to be a reason why they made a new casting. The 983 must work fine with the '64 409 because my '67 P&A lists it for '64-'68 big block. I don't have a '65 or '66 book to see if there is more info. FUNCTIONALLY, the 942-983-444-621-697 housings are (in my opinion) 100% interchangeable in every way. Additionally, the early open bottom housings (iron and alum) are ONLY USED with a 168teeth flywheel. The smaller 153 teeth was NEVER used with an open bottom housing. with the smaller 421-383-403 bell housings (and the odd ball housing for early ChevyII cars). 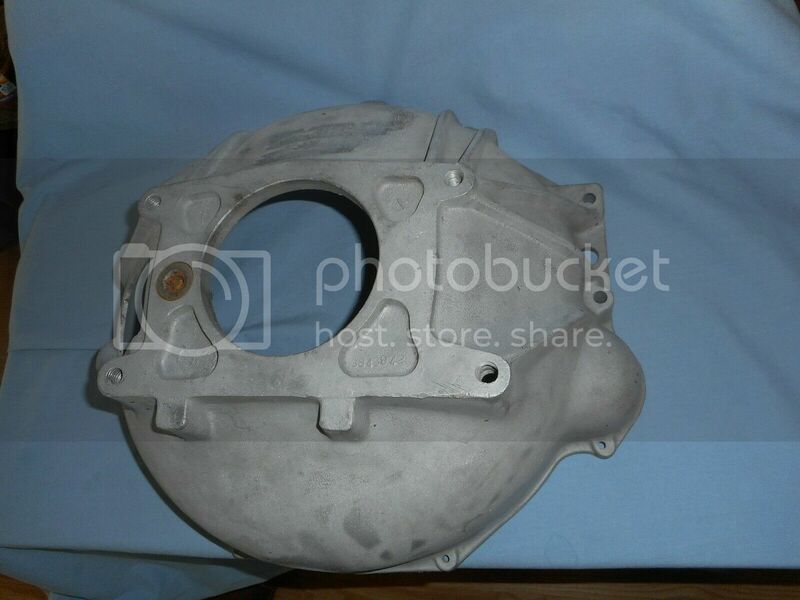 I believe when GM designed this bellhousing they had it in mind to use it on the 64 and 65 model. 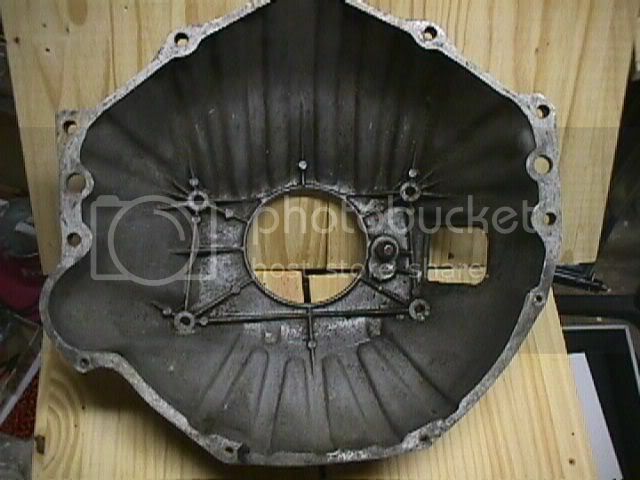 As the 64 and 65 had two different type frames the 983 bellhousing for the 65 model has the z bar mounted to the housing. The boss is drilled and tapped. The 64 bellhousing has the z bar mounted on the engine and the bellhousing boss is not drilled and tapped. If this is not correct I blame my error on the internet. I thought I had an extra 942 hanging on the wall. Turns out it is a 621. Definitely die cast. The 553 I have looks to be sand cast. That is correct, the 591(1960 ONLY) and 553(61-63) are sand cast (and very good castings). I think we're narrowing it down because it looks like the 983 was the '65 (409 & 396) version. We really need to examine the left side of the 942 & 983 bells to look for casting differences. If all Chevy did was drill a hole and tap it for the '65 (Z-bar) application, then they would have just changed the part number, not the casting. There has to be a casting difference. They may have had to add some strength to the zbar area to support the added stress? Thus, after all is said, my conclusion is that when installed in a car (either a 64 or 65), the ONLY DISTINGUISHABLE feature between a 3843942 or 3866983 housing would be if there is or is not a threaded hole on the left side for the ball stud. The casting number would be covered by the transmission, thus, NO ONE could see the casting number. Right? As I originally mentioned, Tim is putting together a 65 Impala SS 396 4sp car with FACTORY air and he is trying to acquire as many correct pieces as possible. When finished, it would be a unique and cool car to own. In my life time, I've only seen 2-3 65 4sp Impalas and I don't think I've ever seen a 4sp Caprice!!! Did Chevy even make one? Years back I viewed a 65 Impala convertible with a/c , automatic , and 396 in tact. It needed work and wasn't really for sale but owner favored the dollar bill if one wanted it. I didn't care for the radical body style change making it look several feet longer. The Chevelles were the hot ticket as well as other mid size v-8 four speed cars. Went to look at a 66 Chevy 2. Owner had a 65 original 396 SS convertible four speed that was recently restored , light blue, white interior. Chevy 2 was a midwest rusty example. Also passed on a 395 425 original Corvette coupe. Another one of lifes mistakes. As they say, one can't own them all. So where does the 621 bell fit in all this ? I thought it was a 65-up bell. The 444 was a 1966, ONE YEAR ONLY ------------- and MAYBE, MAYBE, MAYBE VERY, VERY early 67 bell housing. The 621 replaced the 444 in 67. VERY, VERY few few people know the difference between a 444 and 621 housing (other than the casting number). Below is a comparison of the 444-621 housings, which are nearly identical ------------ except for one small feature. The rib from the upper, left transmission bolt hole area, up to the upper left corner bolt hole of the housing is a thin rib on the 444 and a thick rib on the 621 ----------------- THAT'S IT!!! In the LATE 70s, the 621 was replaced by the 464697 (both in production cars and as a service replacement). For all practical purposes, the 697 is identical to the 621. But on the INSIDE of a 697 housing, there is a figure 8 boss for the ball stud for the throwout bearing fork. Depending on the vehicle application, the threaded hole could be in either the upper or lower part of the figure 8 boss, as below. Fantastic . Thanks. Are there date codes on the 621 or 553 somewhere that I am not seeing ? Foundry marks arenthere but not seeing date coding. Bob, I've seen date coding on "some" 553s. I don't have a picture though. I remember it was in the same recess as the casting number. When I get a chance, I can check my extras and if one has it, I'll post it. Edited by Verne_Frantz on 04-13-19 07:30 PM. Reason for edit: No reason given. Thanks Verne. Kept these things around for too long. There's a very nice 553 on Feebay at the moment (nice price too). There's a date code of sorts in the part # recess, but it appears to be incomplete and only a 5 and a couple of dots are obvious, maybe this means something?